António Augusto Lagoa Henriques was born in Lisbon on 27 December 1923. He was the son of Delfim Augusto Henriques, a trader and amateur actor, and of Palmira de Almeida Lagoa Henriques, a primary teacher who had attended Columbano's workshop. His grandfather on his mother's side was a watch-maker. He first lived in Ilha Terceira Street, in the Bairro dos Açores (Neighbourhood). After his grandmother on his father's side died, he moved with his family to his grandfather's house, now a widow, who was a tailor and lived in Douradores Street, in Lisboa. After completing his secondary education, he wanted to enrol in Arts or Law school, but he failed the university admission tests. He then received private tutoring from Agostinho da Silva, who, after seeing his drawings, persuaded him to study Sculpture. In 1945, he enrolled in the Special Sculpture Course at the Lisbon School of Fine Arts, and in 1948 moved to the Porto School of Fine Arts, where he met master Barata-Feyo and was taught by Leopoldo de Almeida and Dórdio Gomes. He finished his degree in 1954 with a scholarship, and his final course work received full marks. In 1958, Lagoa Henriques was invited by ESBAP to become Sculpture Assistant, a position he held in 1959 (he took up office on 8 January and on the 23rd he was already working as 2nd Assistant of the 6th Group). Together with Alcino Soutinho and Álvaro Siza Vieira, he presented the project for the Calafates Monument, in the I Exposição Extra-escolar dos Alunos da ESBAP (1st Extra-School Exhibition by ESBAP Students), which was, however, not built. In 1960, the bursary he received from the Superior Institute of Culture enabled him to study in Italy, and to undertake several study trips to Egypt, Greece, England, Belgium and Holland. During this period, he visited the schools in Florence, Siena, Padua and Rome. In Rome, he enrolled in a Stone Sculpture school. In Milan, he worked under the supervision of Marino Marini (1901-1980). 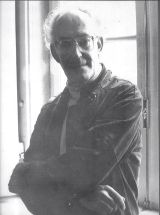 He returned to Porto in 1963 and continued his teaching activity at ESBAP, first as a tenure professor in Drawing and, from 3 October on, as Professor of the 7th Group. In 1966, he competed for a post at ESBAL and began teaching at the beginning of the year, as Professor of the 7th Group, and at the end of the year as professor of the 6th Group. During this year, he travelled to Morocco, Italy and France, and participated in the 6th International Colloquium on Luso-Brazilian Studies, in Cambridge-Boston. At the beginning of the 70s, a devastating fire ruined his workshop and the workshops of other plastic artists who used to work in the old pavilions that once housed the 1940 Portuguese World Exhibition. Lagoa Henriques and his colleagues were re-housed by the Lisbon City Hall, and the National Society for Fine Arts organized an exhibition with the drawings recovered from the fire. He was given a workshop in some warehouses belonging to the City Hall, in Índia Avenue. At ESBAL, Lagoa Henriques helped to renovate artistic teaching and introduced a new subject – Visual Communication (1974). In 1981, he became the President of the Teaching Board and Teaching Standards Committee of the School and, in 1986 he applied for his retirement pension, which he received the following year. In the meantime, between 1982 and 1983, he was requested to work for the Heritage, Historic Buildings and Monuments Commission for Portugal, coordinating a project to disseminate Cultural Heritage (1983). In 1984, he was a member of the jury in the competition to award a tribute medal to Almada Negreiros. During the 90s, he occupied the Drawing chair at the Escola Superior de Conservação e Restauro de Lisboa (Higher Education Conservation and Restoration Institute) and, in 2000, in addition to these functions he was also hired as Full Guest Professor by the Faculty of Fine Arts of the University of Lisbon. In 2008, he was awarded Professor Emeritus status at the Arts and Crafts Institute of Universidade Autónoma de Lisboa, in Lisbon. Lagoa Henriques signed many sculpture works found all over the country and in Macau, much influenced by the art of master Barata Feyo, his Italian experience and the poetry by Cesário Verde and Fernando Pessoa. Among his works, reference must be made to the sculpture of Fernando Pessoa, in "A Brasileira", "O Segredo" (The Secret) (1972), in Amália Rodrigues Garden, the statue of Guerra Junqueiro, the mausoleum for Fernando Pessoa, in Mosteiro dos Jerónimos, as well as several sculpture works in Rex, Ritz and Altis hotels, all in Lisbon. We can also highlight the following works: the sculpture of Alves Redol, in Vila Franca de Xira; Conquista de Ceuta, in Ouro Garden, and the sculpture of Ferreira Borges, in Palácio da Justiça, both in Porto; two sculpture works in Oliveira do Bairro (Delivering the Charter to King Manuel and the monument to Portuguese Universalism); sculptures of Empress Sissy and Pope John Paul II, in Madeira Island; "Camões" and "Ilha dos Amores" (Island of Lovers), in Constância; the monument to Nuno Álvares Pereira, in Abrantes; King Sebastião, in Esposende; António Aleixo, in Loulé; "Ano do Cão" (Year of the Dog) and "Encontro entre o Ocidente e o Oriente" (East meets West), near the S. Paulo ruins, in Macau; "Leda e o Cisne" (Leda and the Swan), in the Portuguese Embassy, Brasília; and the work done in the branch offices of Fonsecas & Burnay bank, in Porto and Lagos; the engravings in the Court Houses of Gouveia and Lisbon; a commemorative medal of the 80th anniversary of the Sociedade Portuguesa de Autores (Portuguese Society of Authors)(2005). Throughout his long and brilliant career, Lagoa Henriques was distinguished with several awards: Soares dos Reis, Teixeira Lopes and Diogo de Macedo, Porto Rotary Club Award, the 1st Medal of the National Society for Fine Arts, the Medal of Honour at the Brussels International Exhibition, and the 1st Sculpture Award at the 2nd Plastic Arts Exhibition of the Calouste Gulbenkian Foundation. Lagoa Henriques was also dedicated to scenography, he was the author of several television programmes ("Risco Inadiável", "Pare, Escute e Olhe", "Portugal Passado e Presente" e "Lisboa Revisitada"), spoke in conferences on sculpture, drawing and poetry, and collaborated in cultural development activities in Calouste Gulbenkian Foundation, Museu Nacional de Arte Antiga (National Museum of Ancient Art), Centro Nacional de Cultura (National Cultural Centre) and Instituto Português do Património Cultural (Heritage, Historic Buildings and Monuments Commission for Portugal). Lagoa Henriques was an influential pedagogue and artist. He was affected by a prolonged illness and died on 21 February 2009. The following day, his body lay in the mourning chamber arranged in his workshop, and the funeral was held on 23 February, in the Ajuda Cemetery, in Lisbon.